Soft Cover, 340 pages, 5.5 x 7.5. 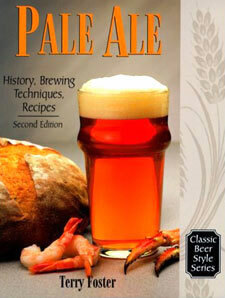 In Pale Ale, Terry Foster writes an entertaining, in-depth examination of the world's most popular beer style. He traces its remarkable history, reviews leading commercial examples, and provides recipes in English and metric units. Knowledgeable and passionate about his beer, Foster created this lively, technical masterpiece for everyone who enjoys pale ale.